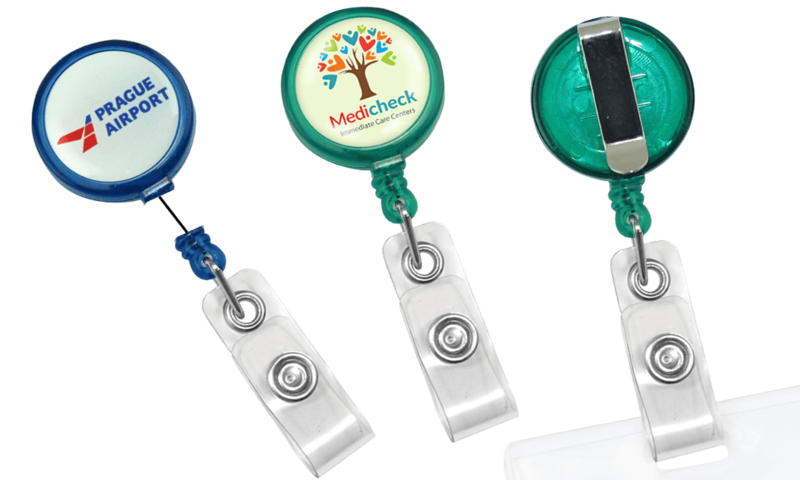 This 32mm round badge-reel offers a large customisable area allowing your logo or graphics to maximise the front surface. This affordable reel with retractable nylon cord will fit most work or school environments thanks to its lightweight and discrete design that will easily attach to your clothing. Printed domed label size: 25 mm. Add a full colour customisation with protective sparkyl dome on your round plastic pull reel with clear vinyl strap and nylon cord. Slide-type belt clip on back to easily attach to your clothing.